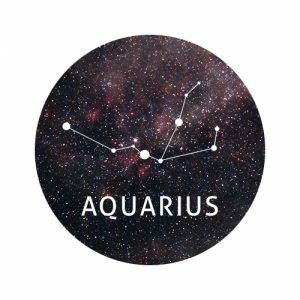 An Aquarius New Moon takes place on Tuesday, 8th February and it brings us all some well-needed enlightenment. The air sign will help us see the bigger picture when it comes to a situation, instead of only focusing on the details. To be able to get our heads around this, it’s best to ask people close to us for practical advice. If you’ve been worried too much about the little things so much that it’s stopping you from seeing the obvious, someone could help you see what’s really going on. When we need help, we should all just ask for it instead of criticizing ourselves too much. It’s a good idea for you to partner up with colleagues around you, Aries. Sometimes goals can’t be succeeded on your own, so it’s ok to ask for help whenever you need it. Too much pride can just delay plans. If you want to learn something new and you know someone can guide you, approach them by the end of the week. Their encouraging words and advice will give you a new lease of life. Next week, you’ll be able to apply this knowledge and it’ll work in your favour. Remember to show your appreciation for this person because they’ve probably given up their time to help you out. Ask for advice if you’re struggling with something. Get closer to colleagues so you can learn and thing or two. Remember that it’s ok to ask for help. Don’t beat yourself up about it. You’re being drawn to something this week, Taurus. Whether it’s a new country, a genre of music or something else that grabs your attention, you should explore it more. A new country is on the cards for you. You might end up visiting somewhere that requires you to learn a new language. It’s very likely that you’re experiencing the desire to travel far away, so make sure you do your research on the right places suited to you. 2016 could be an amazing year to have shorter yet more regular holidays, instead of just one long holiday in just one location. Going to different countries can show you a variety of cultures that you’ll fall in love with. Look at any travel deals that could take you to new countries. Brush up on any languages so you can prepare for an adventure abroad. Don’t ignore your attraction to a particular country. Begin researching it. This is the week where you’ll feel as if you’ve got a spring in your step. For the past couple of years, you may have felt trapped in a situation that has been difficult to escape. 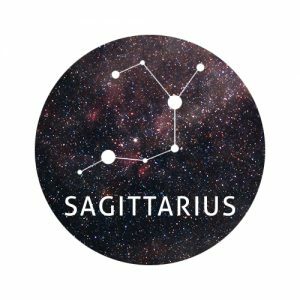 Thankfully, the Aquarius New Moon will bring the positive change you’ve been waiting for. Whether it’s a new job or a new home, you can finally break free from the problem that has been getting you down. You’re an upbeat character, so when a situation starts to change this about you, it’s time to make a big change. Friends and family will support your decision to change something in your life. It’s time to change what is bringing you down. The week will bring a new chapter in your life and even though you might take a leap of faith, it’s for the best! If you want to explore a new style, now is the ideal time, Cancer. You may have felt a little dull since Christmas, now you’ve put away your sparkly outfits. There’s no reason why you can’t update your style. Search through your wardrobe and have a look at the items you may have forgotten about. Look online or buy magazines that could give you some style inspiration. It’s a fresh start for you and sometimes, just changing something up can do the world of good for your confidence. Change up your look if you’ve wanted to for quite some time. Don’t go too drastic. You might reject that buzz cut in a week or two! Go through your clothes and mix new items with older ones. You might feel a little more sensitive than usual, Leo. 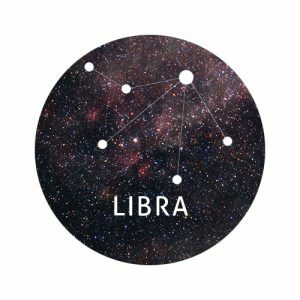 Thankfully for the New Moon in Aquarius, you can use its innovative power to remain positive. People are irritating you right now and it could be very difficult to bite your tongue. Let Aquarius’s airy ways calm you down a little. If you need to, spend more time on your own to retreat and unwind. The start of the year isn’t ever an easy ride, so rest during the weekend so you can get back to normal for the upcoming week. Take a break and give yourself a pampering. Isolate yourself from people, especially if you think you’re going to snap at them. Spend some time in front of the TV this week. Watch funny movies and feel the stress melt away. When we’ve planned and planned yet something doesn’t work out, it can be super aggravating. Please, don’t let it get to you too much. If a weekend break you’ve wanted ends up falling through because a friend can’t get time off work, don’t take it out on them. Look at your plan b. As a Virgo, it’s highly likely you have other plans up your sleeve anyway. You can turn a bad situation around in no time! In other news, it could be yet another romantic week for you to enjoy. Your partner might even surprise you with something that puts a smile back on your face. Plans sometimes fail so don’t let it get to you too much. Look at other options if a plan falls through. A partner could give you a gift or a surprise this weekend. This is the ideal week to update your home, whether it’s in a small way or a large renovation to keep you busy. Home is where the heart is, so make sure it’s somewhere you can feel comfortable. Updating decorative accessories or adding a splash of colour could give a room an entirely new look. After long working days, the last thing you want is to return to a home that looks dull. Get yourself down to a hardware store and ask questions before you start ripping down wallpaper. The smallest of changes can make a huge difference. Look at ways you want to style up your home. If anything needs fixing, set aside some time this week to get it done. Search online for useful DIY tips before you go full throttle. As a water sign with a flirtatious side, this personality trait normally works in your favour. You can connect emotionally to someone and charm them at the same time, so it wouldn’t surprise us if you meet some admirers. You do need to be tread carefully, though. Have a look at the way you’re coming across because without you realising it, you might be sending the wrong messages to someone when you aren’t romantically interested. Watch out because you might be lead someone on. Look out for admirers and make sure you keep in touch with the one that catches you eye. Dress to impress this week because it’s a brilliant time to find romance. No matter where you look, everywhere is telling you to save money and turn away from splurging. But that’s not what you want now, is it? If you’ve been putting away a lot of your money into a savings account and you’ve been doing really well, it’s OK to treat yourself. Don’t go overboard with this, though. If you see something that has your name written all over it, buy it if it doesn’t completely break the bank. Items such as tech to help your career is the best choice this week, instead of buying useless items such as a fancy outfit you won’t have time to wear. Treat yourself this week. You’ve earned it. Don’t go too crazy with the shopping. Stick it one item that you need. Only spend on yourself if you’ve been doing well with saving. 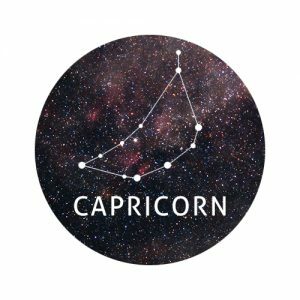 You’re a caring sign that likes to help out others whenever you can. Hard work is a doddle for you but not for others, so you’ve probably been taking some work off a colleague’s shoulders in order to calm them down a little. While this is very generous of you, it’s important that it doesn’t stop you from achieving your own tasks. Getting a promotion at work is within reach, yet work that isn’t your main responsibility will only slow down your progress. Start saying no more often and explain your reasons so you don’t come across as cold. They’ll understand your point of view, so there’s no need to worry. Be honest with the people you’ve been helping. You can’t pick up all the pieces. Start saying no more. You can’t help all the time. Look at your important tasks and ask yourself whether those other little favours are getting in the way. 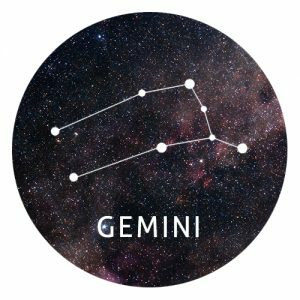 The New Moon is in your sign which means with a double Air element influence, it’ll bring great luck! You’re feeling extra innovative this week, so remember to note down any wacky ideas you may have while you’re taking a shower in the mornings. Little do you know that abstract thinking could lead to a fantastic new project. Sharing your ideas with others is important, so ask others for their opinion before you make an important pitch. By the end of the week, you will have impressed some influential people who could give you the opportunity to turn this idea into a reality. Even if you have dreams about something, note them down! Your innovation will increase this week, so expect lots of ideas to be floating around your brain. Don’t keep an idea to yourself. Ask for constructive criticism so you can polish a business plan or proposal. 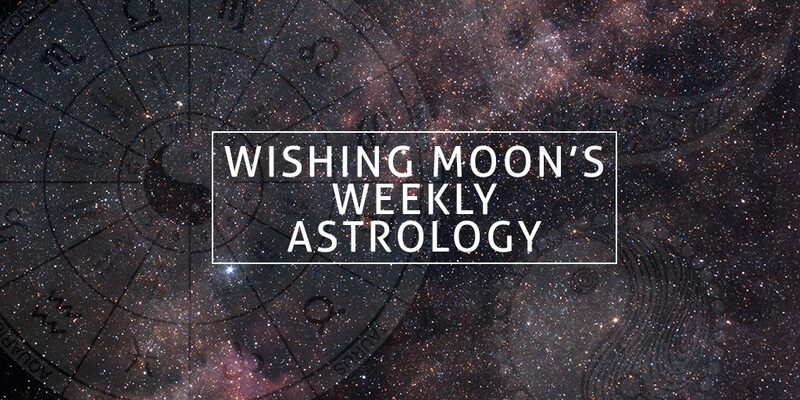 You’re one of the most sensitive signs of the zodiac and this is the week where you’ll be getting a little teary. Looking back on how your life used to be could bring up a lot of old issues. Don’t allow your best to wreck your present, Pisces. If you have experienced loss or heartbreak, contact a friend for advice. Chances are, they’ll be able to remind you of the fantastic things you can look forward to in 2016. Don’t let the past get you down. You’ve achieved so much since then and your strength is truly inspiring! Learn from the past but don’t let it rule you. Contact someone close to you if your emotions are getting the better of you. Don’t beat yourself up over mistakes you’ve made in the past. They’re what have made you who you are today.